2018 has been an interesting year for hero releases. Between long-demanded favorites like Fenix and Mephisto and surprises like Yrel and Sally Whitemane, this year more than any before it has us constantly re-examining the question: what does it mean for a character to become a Hero of the Storm? The reveal of Mal’Ganis satisfies the community’s long-held desire for a Dreadlord, giving yet another perspective in that discussion. Heroes of the Storm has celebrated Blizzard’s characters in many ways. It has united major, defining protagonists like Tyrael, Kerrigan, and Thrall. It has taken poorly or vaguely defined characters like Azmodan or Yrel and given them refreshed identities. It has taken concepts that already existed within Blizzard’s community, like E.T.C. and Murky, and expressed those concepts in a new way. And, it has taken iconic groups or units like Firebats and faerie dragons and created entirely new characters to represent them. Mal’Ganis is all of the above. The Dreadlords—or Nathrezim, to be nerdy about it—are an important part of Warcraft history, both out of game and in lore. 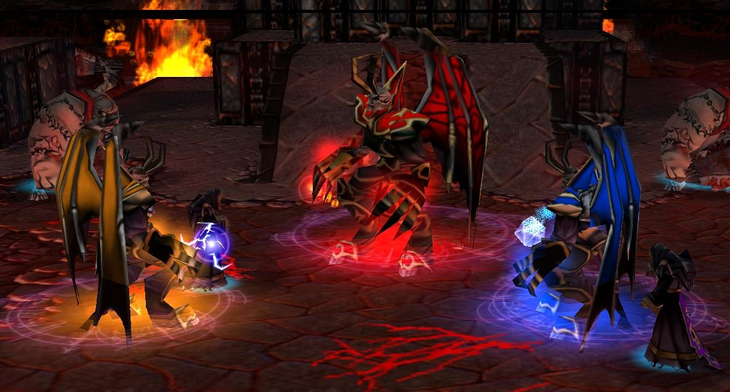 Within the gameplay of Warcraft 3, Dreadlords were a hero for the Scourge race, making them a familiar presence for the game (especially for Undead players). 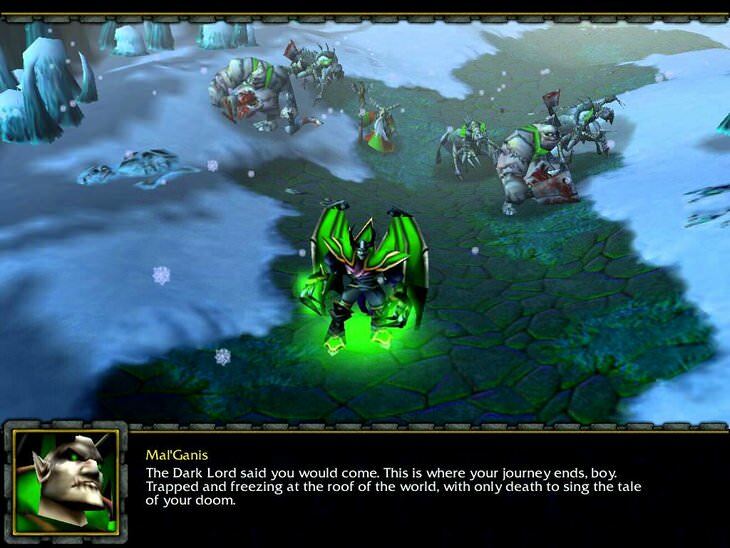 Within the fiction, Mal’Ganis plays a personal role in the saga of Arthas and Stratholme, giving him an inextricable tie to one of the game's most definitive stories and iconic villains. People passionate about the lore will absolutely recognize the name Mal’Ganis, and could probably write essays about the outcome of his actions...but very little actually sets him apart from his Nathrezim brethren. HotS players have been hoping for a Dreadlord hero for years, especially after a suggestive patch note back in 2016 amped up speculations. As more and more racial heroes from Warcraft 3 were represented in the Nexus, the noticeable lack of a Nathrezim only grew. But every time the subject of a Deathlord hero came up, so would the obvious question: which one? 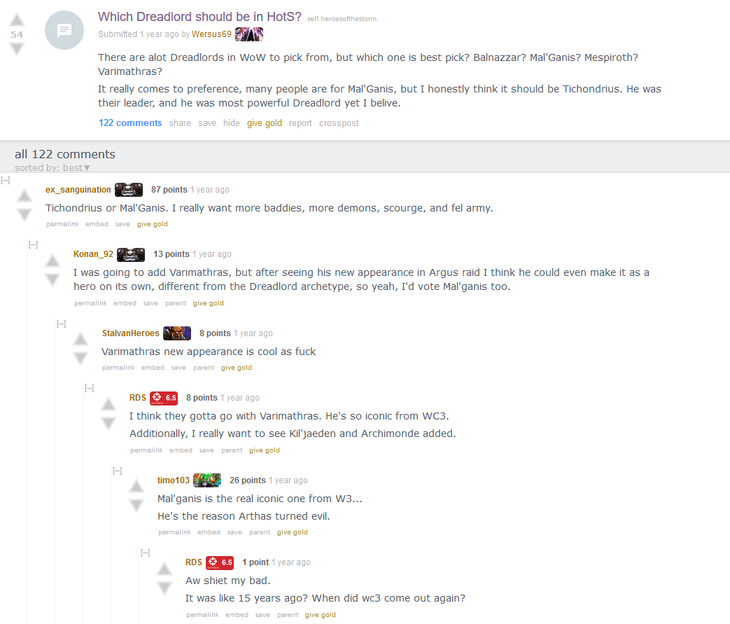 Tichondrius, Mal’Ganis, and Varimathras were the usual frontrunners for this question, with some other names like Balnazzar or Detheroc coming up on occasion. All of these names have been major players in Warcraft’s storyline, yet the decision between them has always felt arbitrary. Why? For all their importance, the Nathrezim are pretty much interchangeable. In Warcraft 3, all that distinguished them from each other was the color of their armor. Modern World of Warcraft has continued using these characters and given them unique appearances, but little makes them actually individual. Pop quiz: which one is Tichondrius? Can you describe Mal’Ganis's personality? He is deceptive, scheming, cunning, traitorous, arrogant. So is Tichondrius. So is Varimathras. This is simply the Nathrezim template, and all the Dreadlords have fit into it. As integral as the Nathrezim have been to the storyline, even those arcs are defined by their opponent. Yes, Tichondrius is as important to Illidan and Varimathras to Sylvanas as Mal’Ganis is to Arthas. But move those around, and what changes? What if Mal’Ganis had infiltrated Undercity instead of Varimathras? Or what if he’d been at the Nighthold instead of Tichondrius? Would there be a noticeable impact in the story? Not really. Mal’Ganis has probably become the most familiar Nathrezim name thanks to Hearthstone, but interestingly enough, the Mal’Ganis card in Hearthstone uses the art by Wayne Reynolds originally made to depict Varimathras. Mal’Ganis is another huge opportunity for the Heroes of the Storm team to show their strengths at characterization. 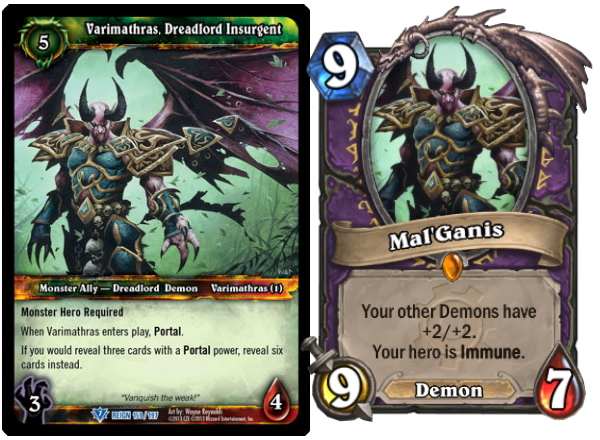 For such a pivotal figure in Warcraft, Mal’Ganis deserves to be more than "Generic Dreadlord #3". Even within his own story, look at the other figures important to the Culling of Stratholme chapter like Arthas, Jaina, Uther, Kel’thuzad, even Chromie, all of whom feel more unique and distinctive than Mal’Ganis does. Luckily, the Heroes team has faced and handled these problems before. As the chosen Nathrezim to represent the Warcraft 3 Dreadlord, Mal’Ganis stands in the same place as heroes like Lunara and Morales. In the Nexus, Mal’Ganis can become a character in his own right, and still become the name associated with a whole history of RTS unit usage. Unlike those heroes, Mal’Ganis does have a deep, canonical history. Not only can HotS, along with Hearthstone, continue to make Mal’Ganis the Dreadlord that represents the race, but it can draw from what’s already been established and enrich the whole character. The best precedent for this in Heroes of the Storm would be the Nephalem characters. Like Mal’Ganis, the Nephalem all had established histories—including short stories, in the case of Valla and Li-Ming. Anyone who played Diablo 3 would be even more familiar with them, as the Nephalem are playable characters in their home game. But even as player characters, the Nephalem are interchangeable in Diablo 3’s storyline. Aside from the occasional one-liner, there is no difference whether someone plays the campaign as Li-Ming or as Sonya… or for that matter, whether one plays as Sonya or the male Barbarian (whose name, by the way, is Kehr). Despite being pre-established characters, the Nephalem were mostly blank slates for the Heroes of the Storm team to define. Now in the Nexus, they’re anything but bland. Warcraft has given Mal’Ganis a strong history, and now t’s time for Heroes of the Storm to give him a personality to match. Given the the dev team’s success record in both celebrating and creating characters, that’s a big reason to be excited for Mal’Ganis. It’s a move that can do justice to the story Reign of Chaos told in 2002, and bring the Nexus forward into 2019, all at once. Fern “Midseasons” Rojas is a Los Angeles-based writer who gets really excited about HotS lore. Fern would have preferred Tichondrius, but that’s not going to stop them from identifying as a Mal’Ganis main. For more thoughts on how Heroes, HGC, and even WoW raiding all work together to tell stories, you can say hello to Fern on Twitter. I do wonder why they decided to make all the Dreadlords the same colour. This also ties in to my disappointment about all the Protoss in StarCraft 2 turning grey-blue. EDIT: I also was rooting for Tichondrius .